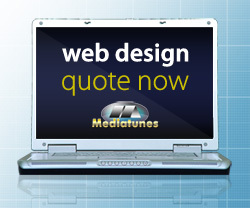 Reach Prospective Customers with an affordable and effective website design development. Mediatunes, Inc. has a vision to provide great services to business and organization through a higher level of Interactive consulting, design, and management than is typically available to smaller organizations. We can apply this expertise to help you reach a broader audience and make a positive first impression with a professional site that communicates credibility and trust. Our focus is on the production of design solutions for small / start-up businesses; to help them realize the potential of the Internet through on-line marketing – e-commerce and email. We will learn what you want to accomplish with your website. This the first and most important step in the website design development process. From this discovery process you will get an on-line presence that will be directed toward your unique goals. We will look at your current situation and build, extend and modify according to your specific on-line needs. With this information a comprehensive plan will be drawn out unique to your situation. With full understand on your website’s Concept and through careful Analysis specification will be created to guide through the next steps. Having a clear road map with Concept identified, Analysis complete and Specifications clearly defined the next step is building the site. This part of the project will include design mockups, creating code specific to your unique needs and create site architecture. The final step in the process is to test. Testing performed for broken links, typos, user interaction and clear and understandable navigation. As with any coding a robust debug will be performed to make sure that application are operational.